My senior year of high school, I got a job as a teacher’s aide at an inner-city school in Hartford, Connecticut. I saw firsthand the difference between the education I was getting five miles away and the education those kids were getting. It left a huge impression on me. I later worked at Nickelodeon and HiT Entertainment—SpongeBob SquarePants, Dora the Explorer, and Thomas the Tank Engine. There’s nothing better than working for a kids’ media company when you have young kids. You have a living laboratory in your family, and yours is the one job that the kids understand. One of the central challenges we face now is that people hold their childhoods dear. Parents who grew up with Sesame Street don’t want it to change, but the world they grew up in is different from the one their kids are growing up in. We have to adapt. 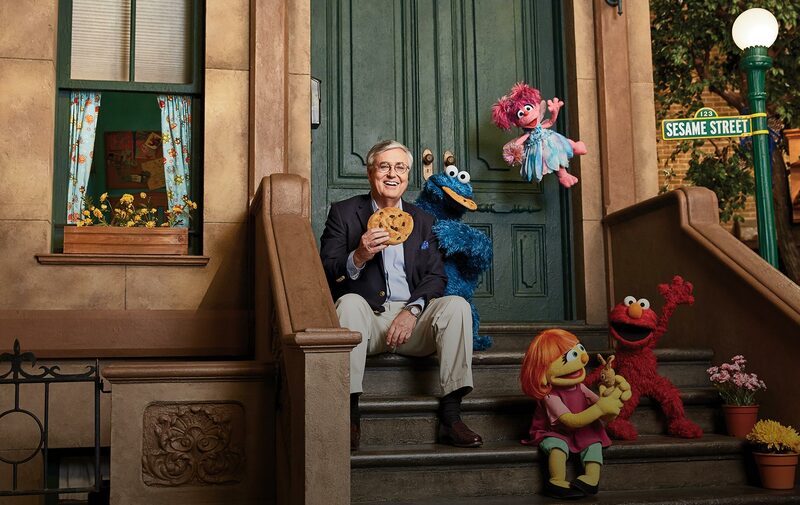 • Professor Rosabeth Moss Kanter discusses how Dunn helped lead a turnaround at Sesame Street in this episode of the Cold Call podcast. I have three bosses: the board, my employees, and the kids. I work for vulnerable kids who don’t have a voice, who need somebody to speak for them and to do the right thing for them in a world in which they have very little power. The very first week on the job at Sesame Workshop I held a staff meeting and did something called “Ask Jeff Anything.” It quickly established that I was going to be a different kind of CEO, more transparent and accountable. Our theory of change is time-proven: One, education matters to your opportunities in life. Two, early education is determinative. Three, media and technology can deliver education at scale costeffectively. And four, role modeling through media can change behavior. Anybody who knows me well knows that I am a total Cookie Monster, right down to the homemade chocolate chip cookies that have always been my weakness. Do you want to learn more about how you can set up your nonprofit for success? A few key areas of focus include building effective executive teams, developing and implementing a sound strategy and performance management. Interested in staying up-to-date with news about issues and trends impacting the nonprofit sector but not sure where to start? Try eBaker, an online research portal for HBS alumni. Contact Baker Library for research tips and more information.